If you would prefer printing out our form and bringing it into our office, please download the two PDF files below. You can then print them and bring them into our office. I certify that my child is covered by the above insurance co. and I assign all insurance benefit otherwise payable to me. I understand that I am responsible for payment of services rendered and also responsible for paying any copayment and deductible that my insurance does not cover. I hereby authorize that dentist to release all information necessary to secure the payment of benefits. I authorize the use of this signature on all my insurance submissions, whether manual or electronic. If you have additional dental insurance coverage, complete this for the secondary carrier. Is child covered by additional insurance? It is important that we know about your child's Medical and Dental History. These facts have a direct bearing on your child's Dental Health. This information is strictly confidential and will not be released to anyone. Thank you for taking the time to completely fill out this questionnaire. Reason for the child's visit today? Does your child get brushed his/her teeth daily? Does your child get flossed his/her teeth daily? Who brushes and flosses his/her teeth? Please describe the child's current physical health. Does/did your child experience any of the following? I affirm that the information I have given is correct to the best of my knowledge. It will be held in the strictest confidence and it is my responsibility to inform this office of any changes in my child's medical status. 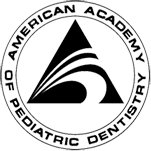 I authorize the dental staff to perform the necessary dental services my child may need.